Last year I was doing a little e-thriftin’ on eBay and I stumbled upon this cutie. I was stunned. 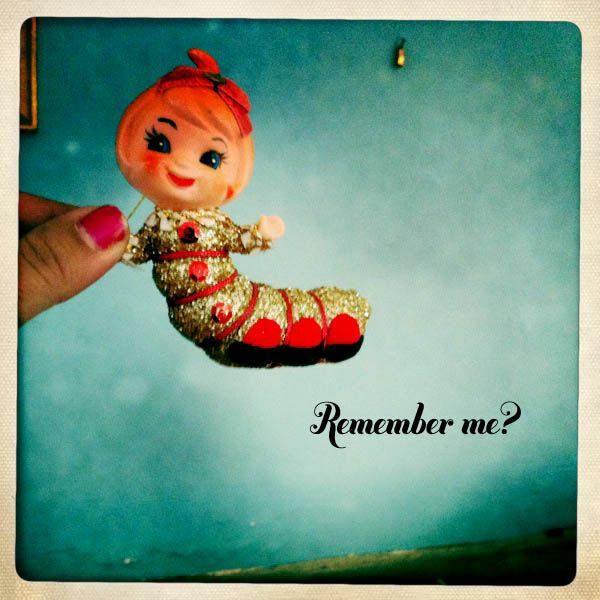 A little caterpillar holiday girl?? Er…..at least that’s what I THINK she is. I kind of had to have her. But I forgot to bid and the auction ended. 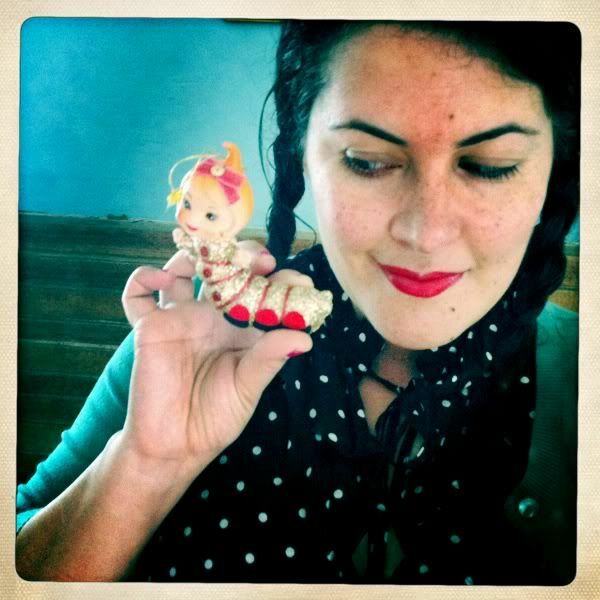 She hadn’t sold (apparently “Vintage Holiday Caterpillar Glitter Girl” isn’t a big search term). I posted her picture here and ya’ll went bananas saying “YOU MUST GET HER!” So I wrote the seller and VOILA! She was mine. She’s so weirdly wonderful….I have no idea what they were thinking when they created her. She has a little hanging cord, so I assume she is supposed to be an ornament. Either way I’m excited to have her as part of my little holiday gang! Pssst! 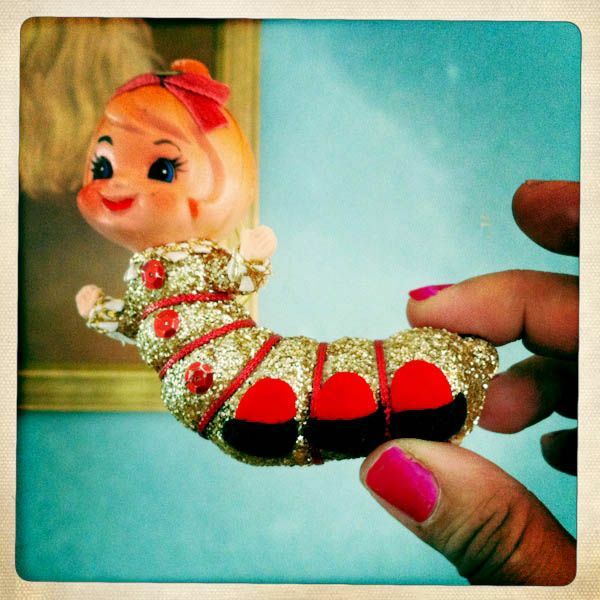 I did a search for Vintage Christmas Caterpillar on ebay…..and there’s actually one on there! See? ah, she needs a name alix. pixe? cat? I love the glitterbug! I was hoping we’d see her again. And she’s even cuter than I remembered! yay!